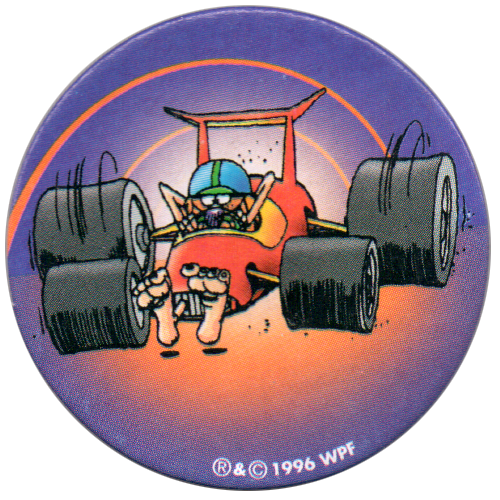 Info:This is a very interesting set of POG milkcaps, produced in 1996 by Avimage for sale in Italy. 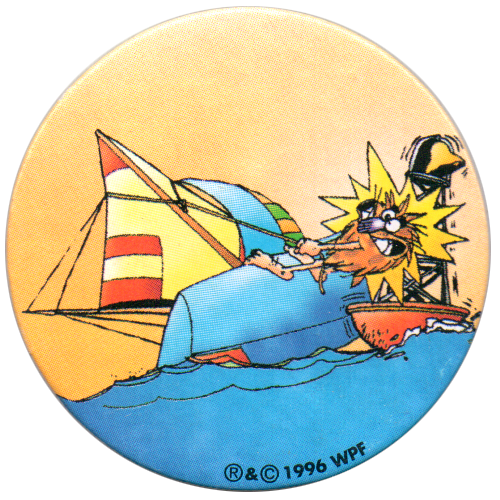 The set is titled on the back as being Serie No 3 , but is not to be confused with the French Serie No 3 (also produced by Avimage), which is a different set. 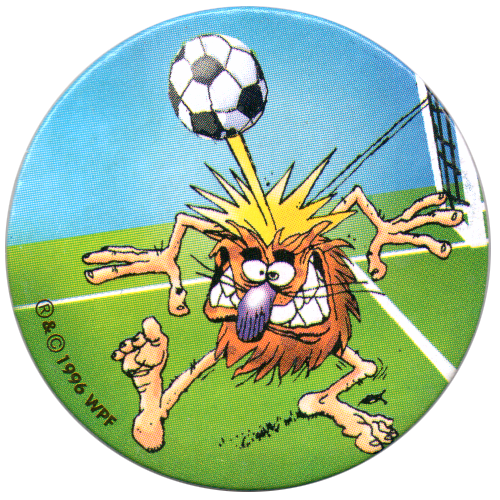 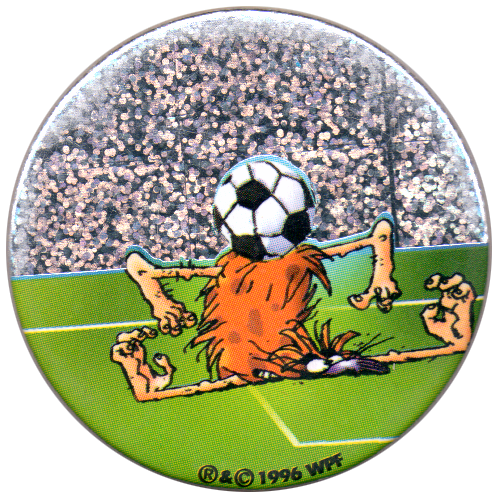 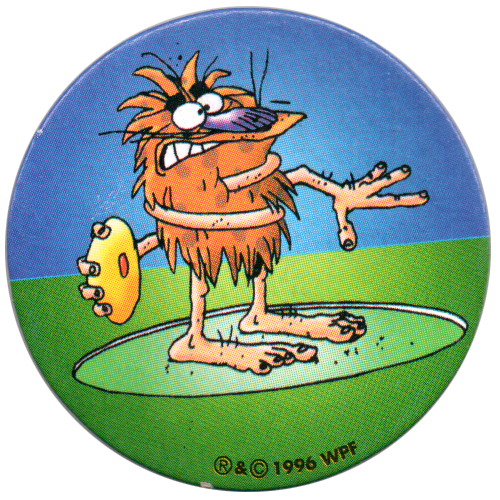 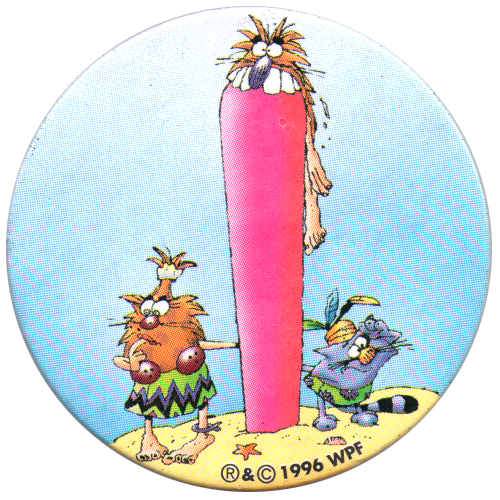 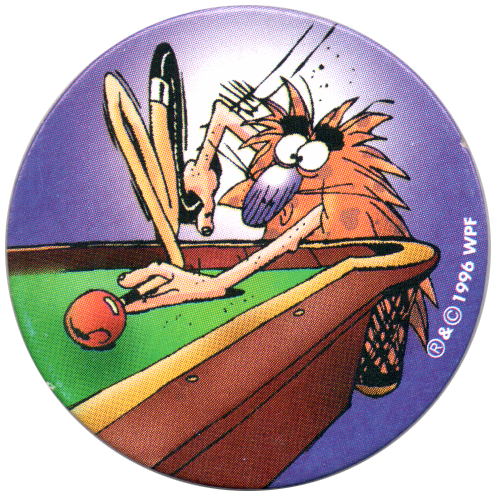 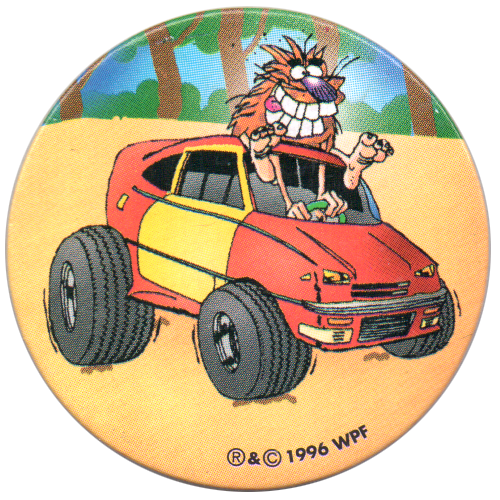 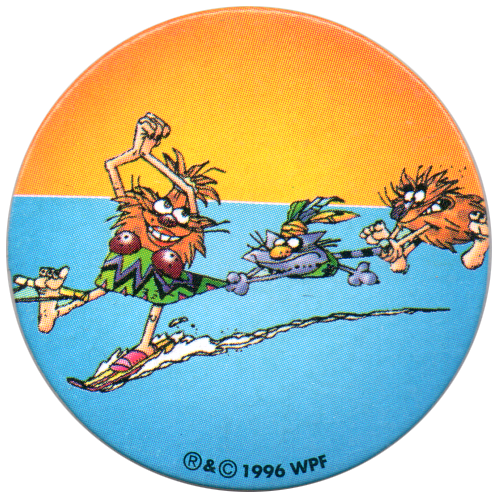 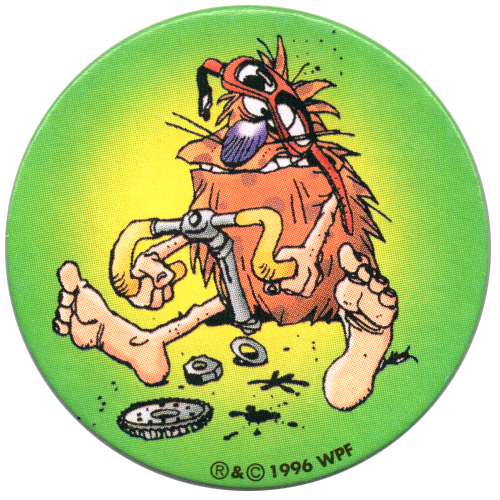 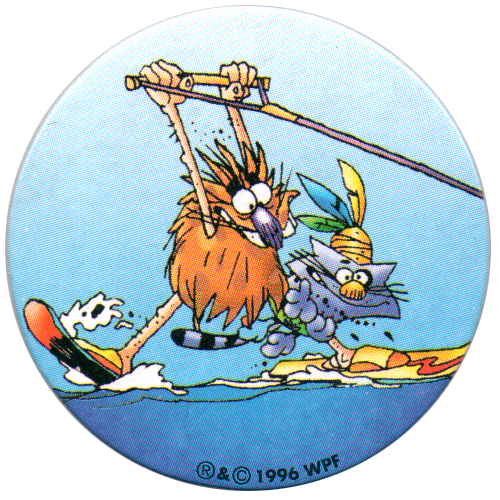 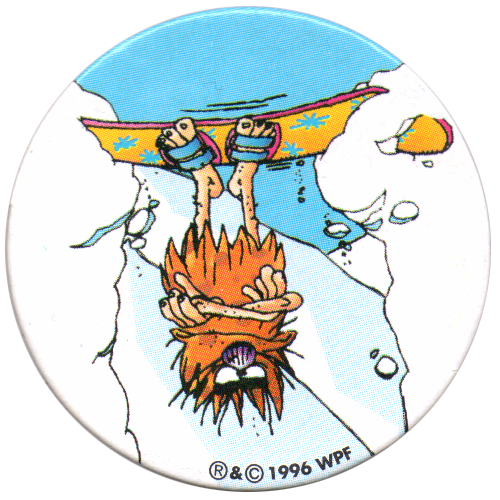 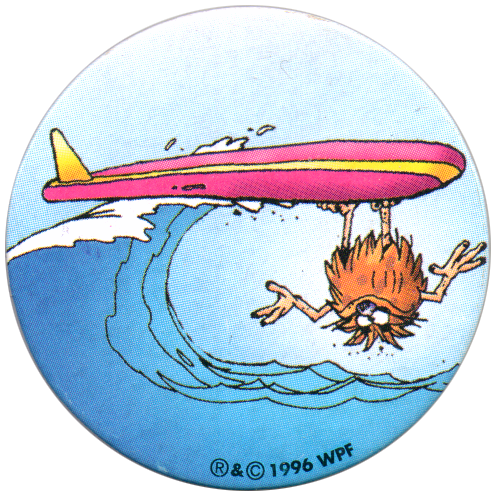 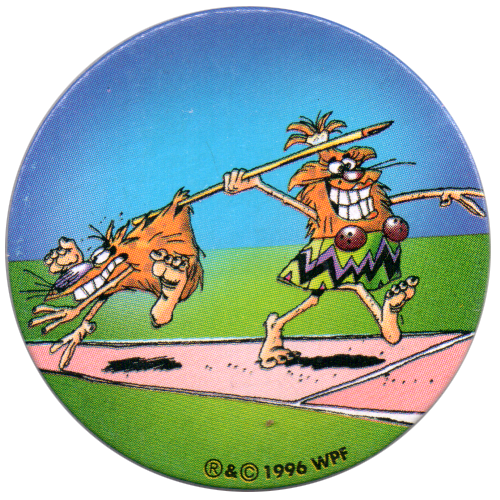 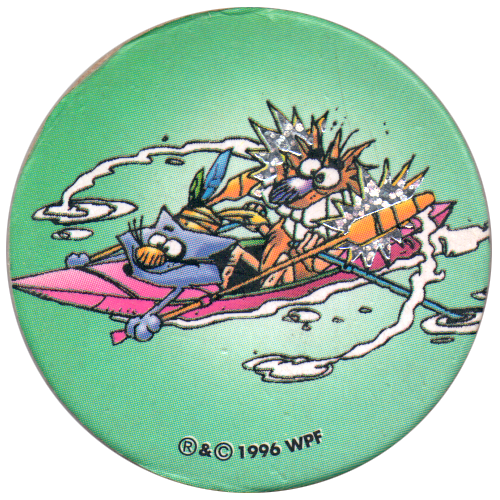 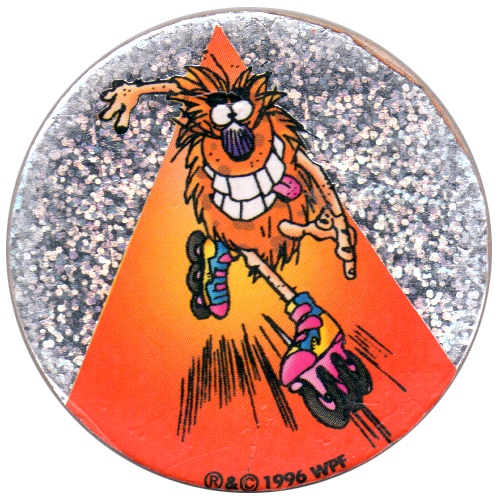 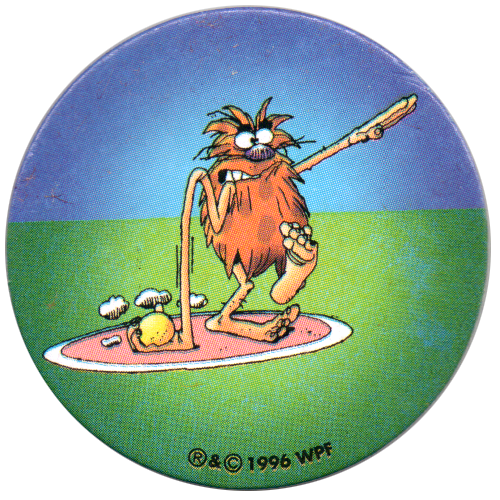 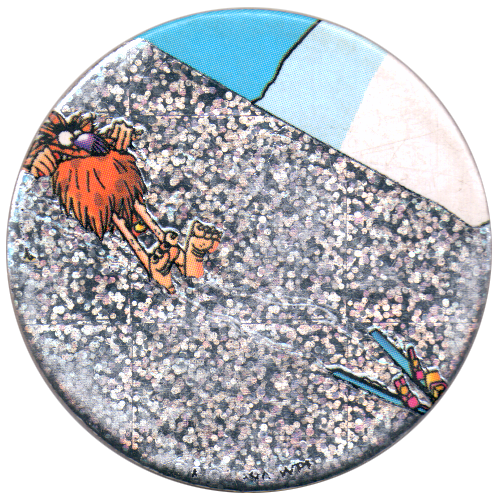 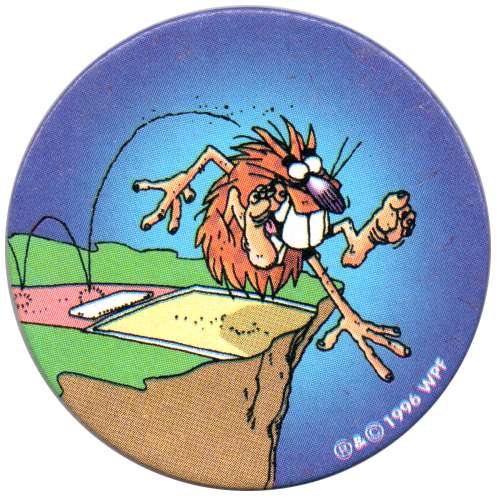 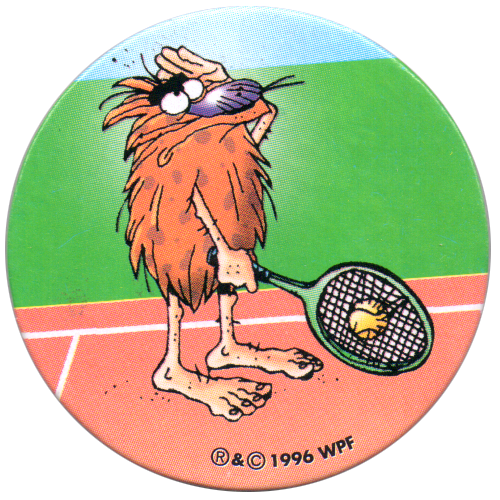 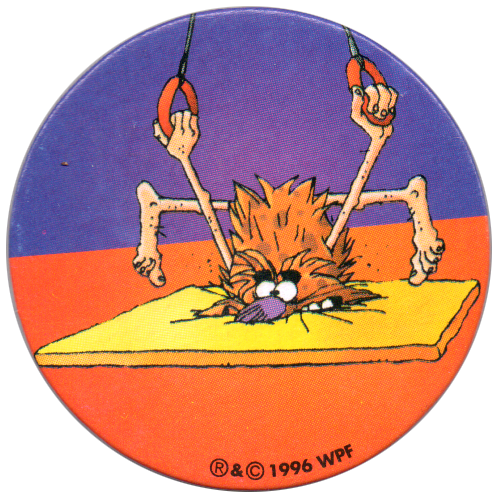 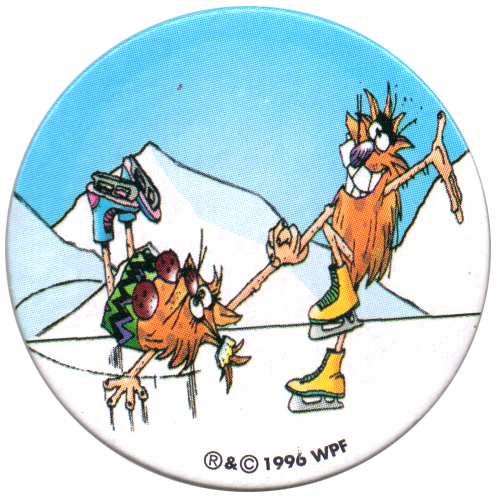 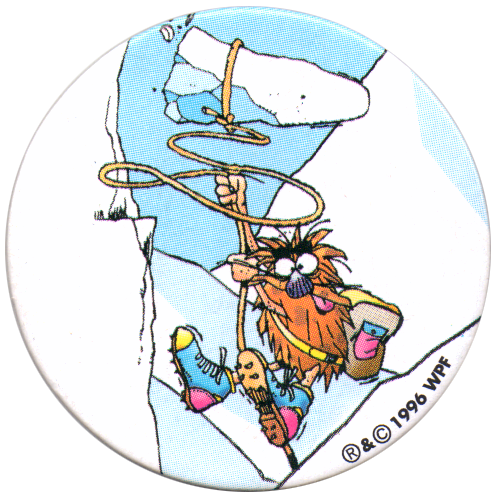 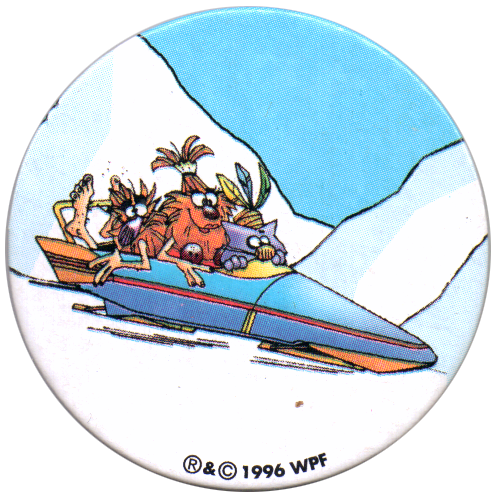 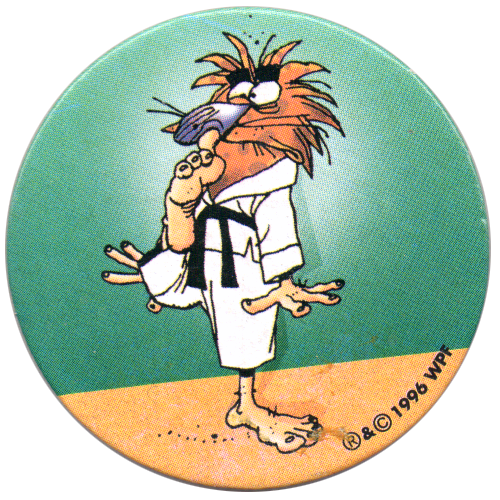 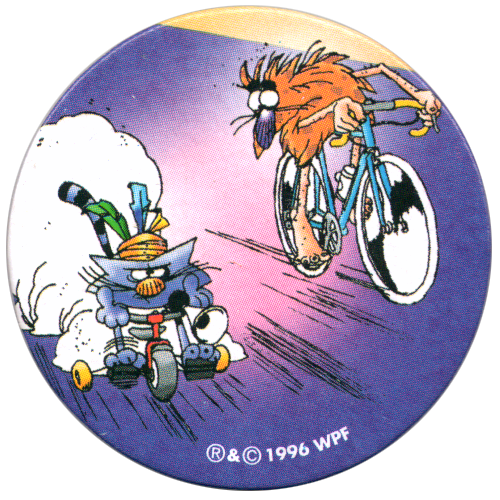 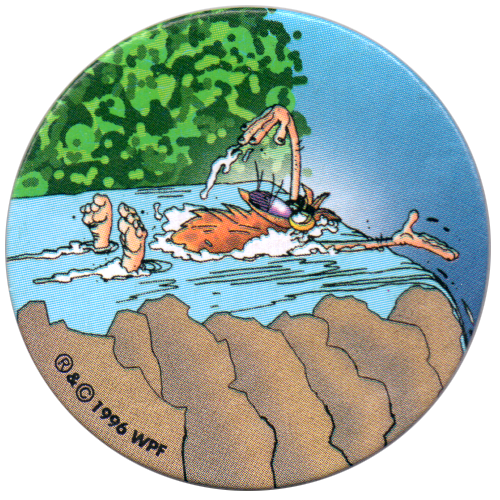 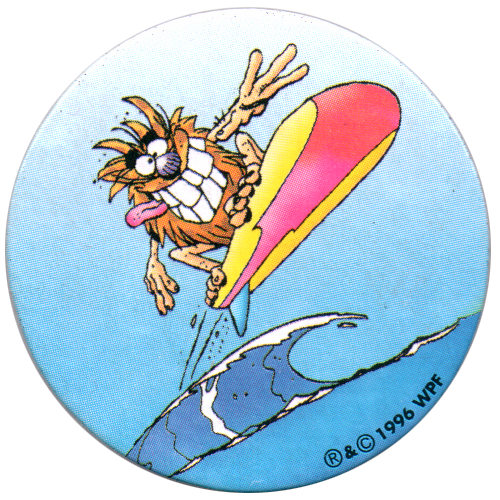 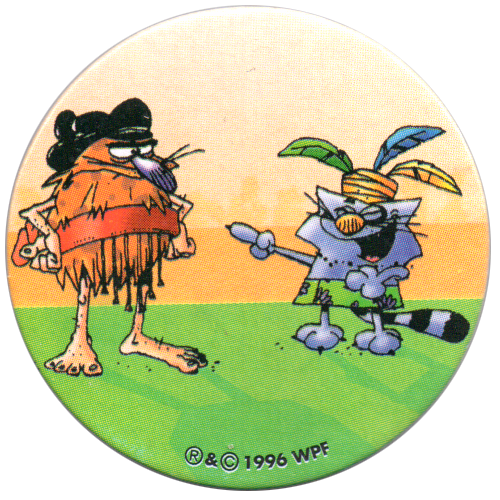 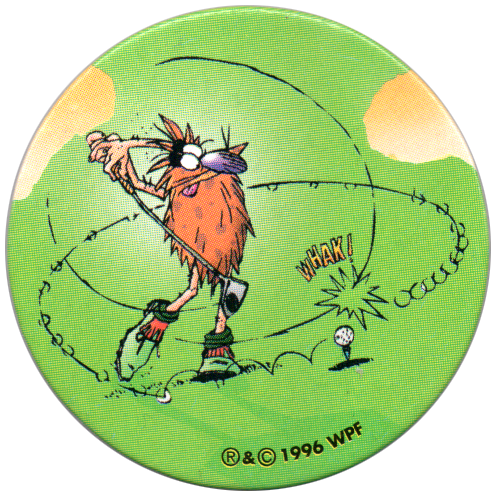 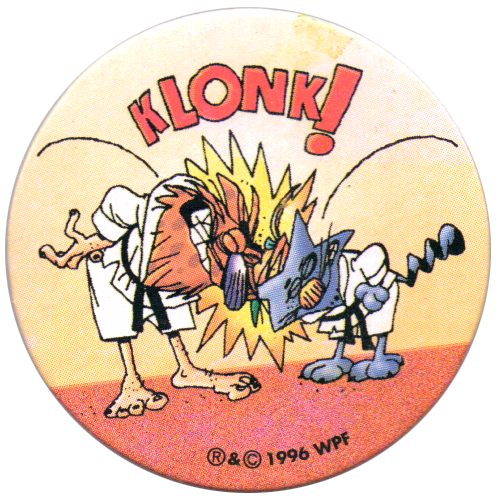 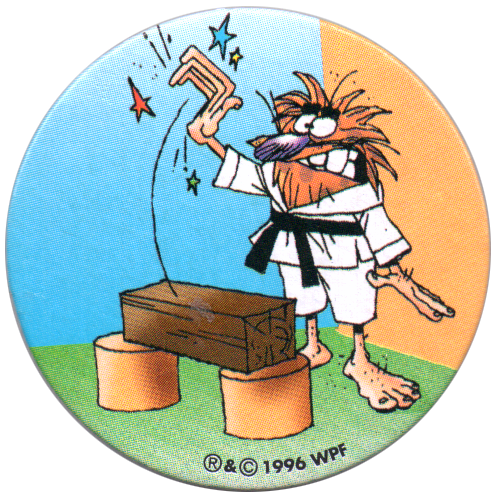 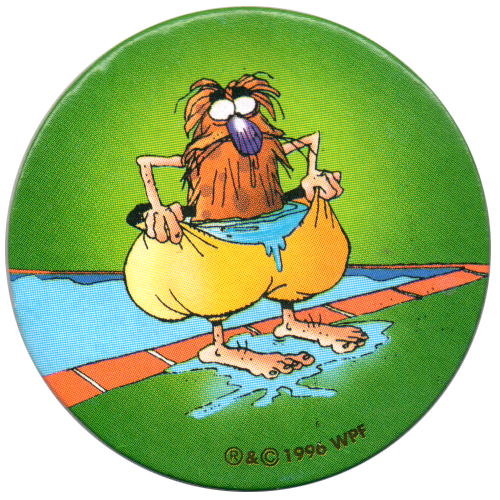 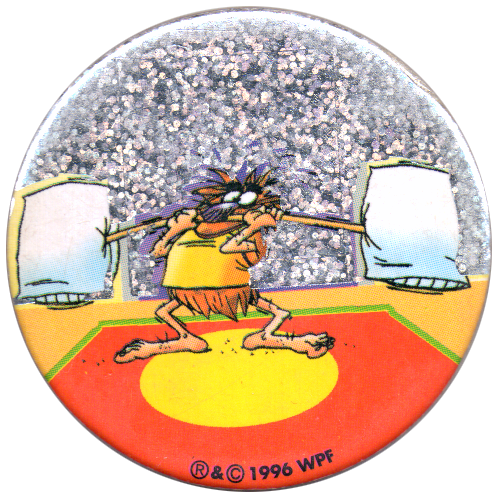 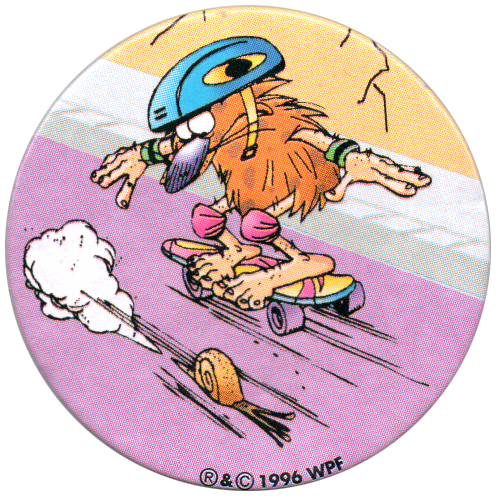 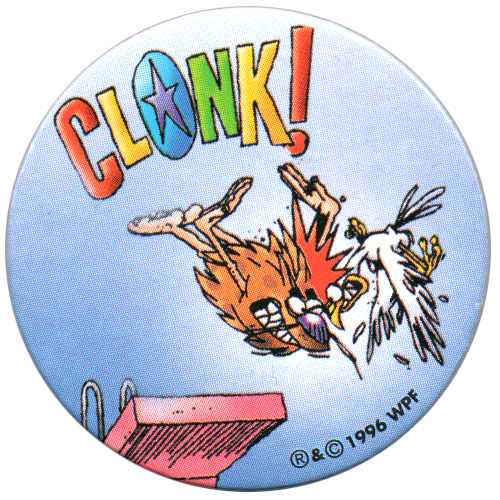 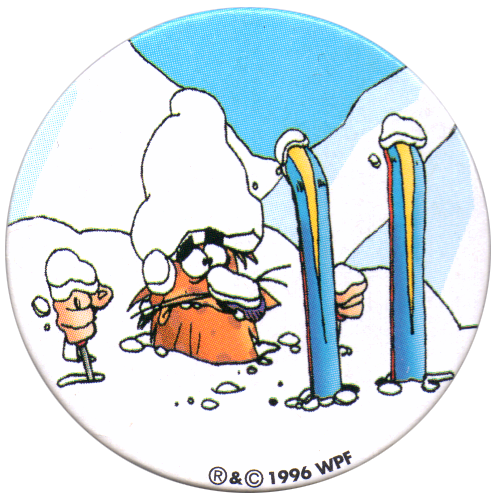 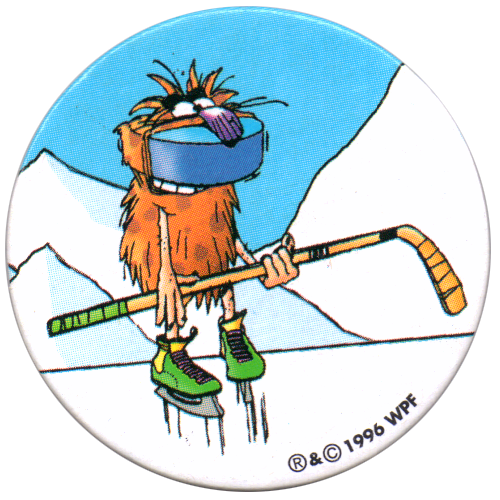 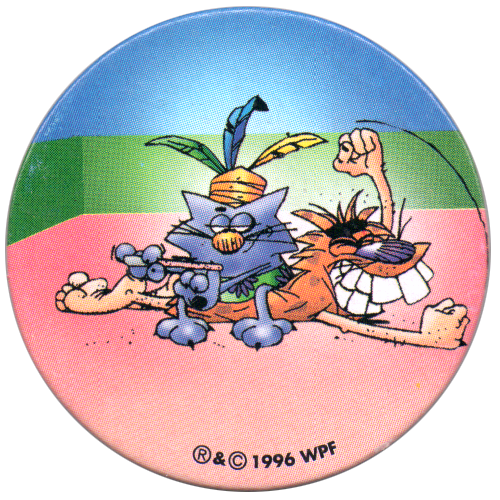 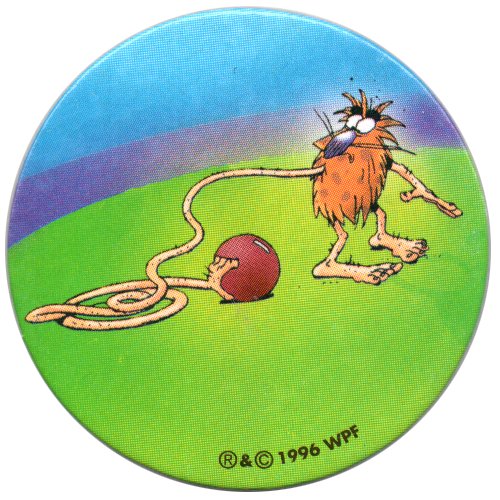 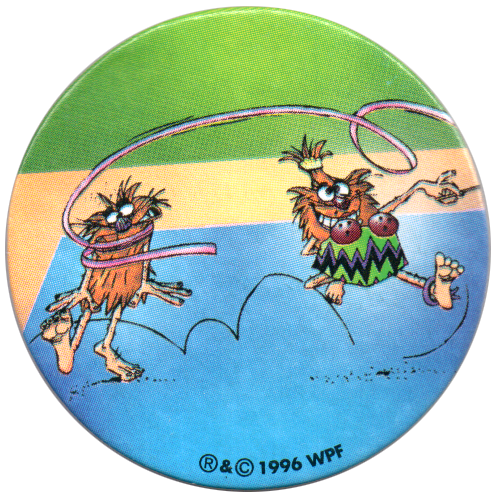 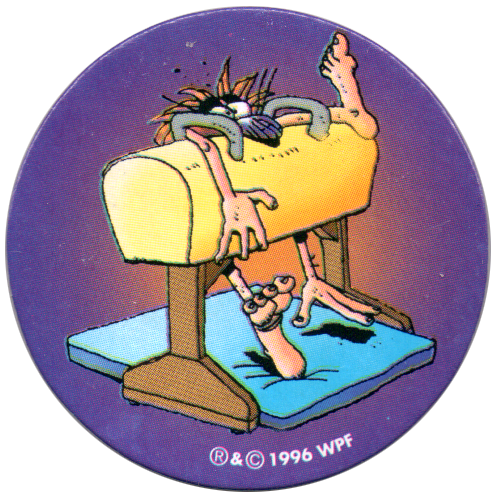 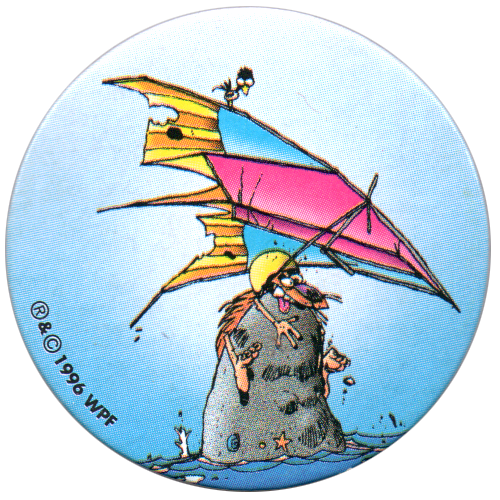 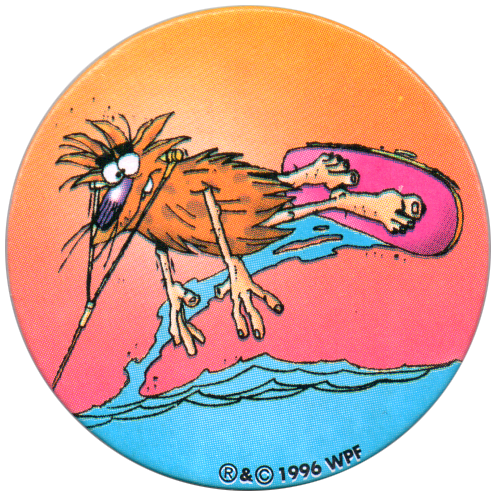 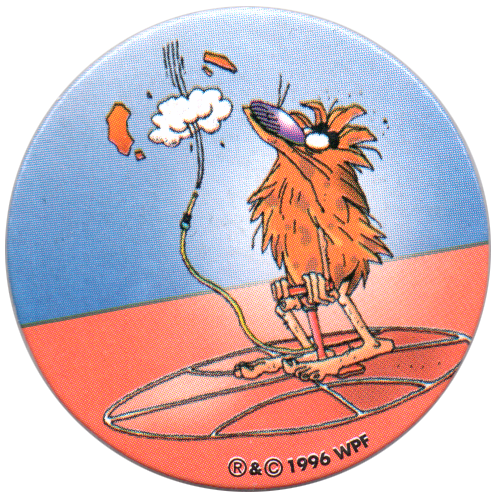 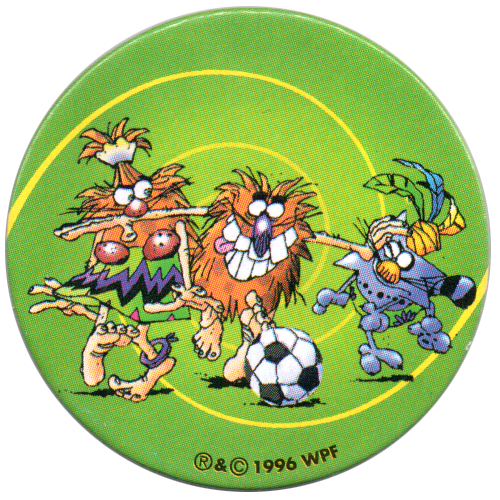 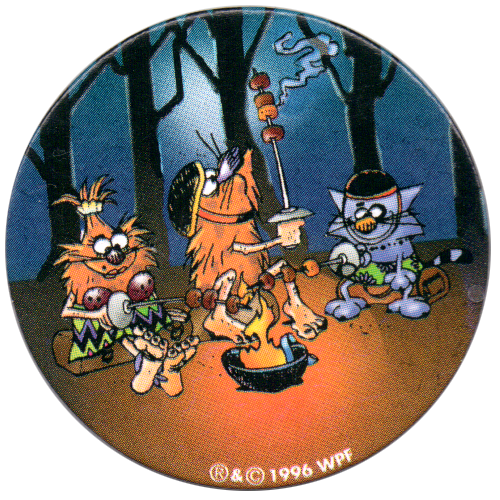 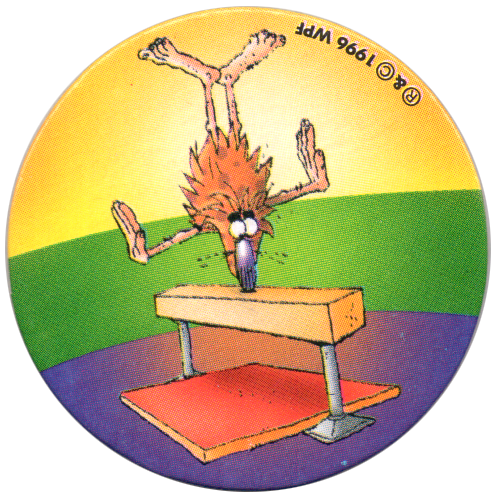 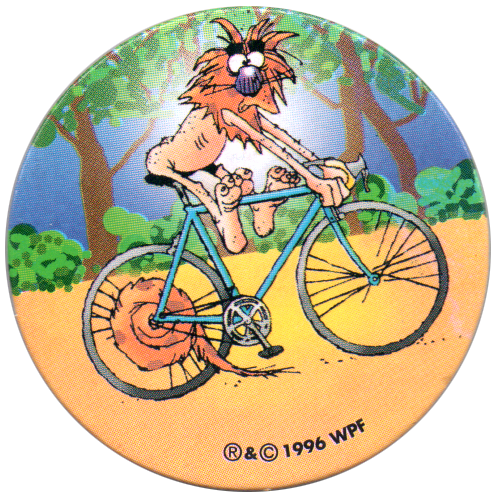 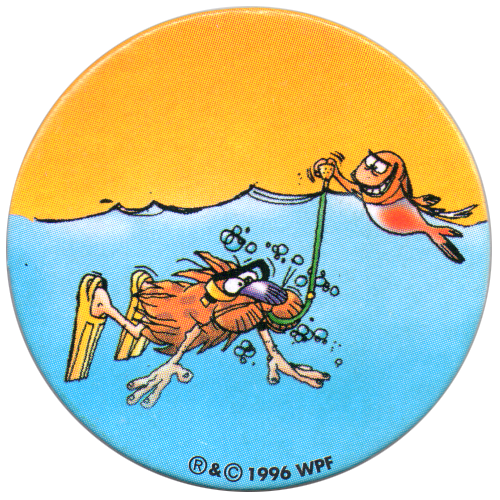 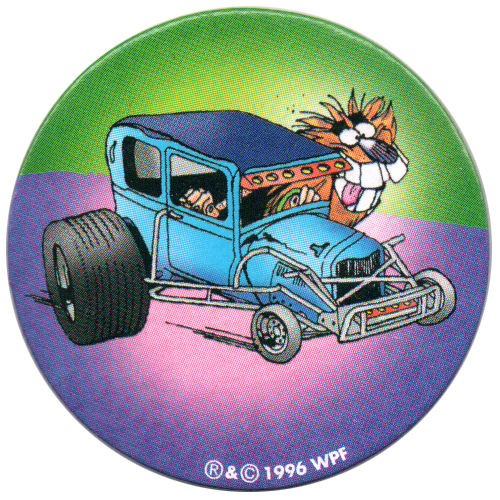 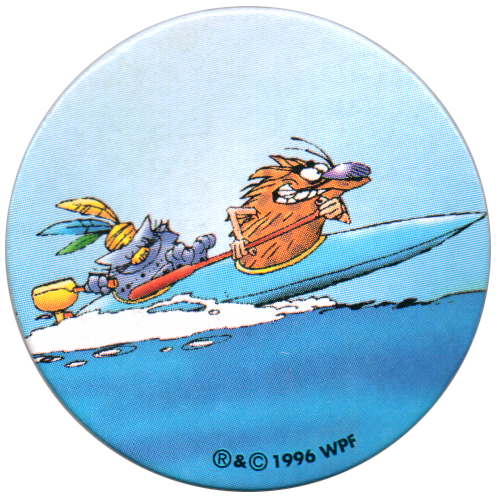 The caps feature Pogman, along with Shirley and Pogpuss, who didn't appear in earlier sets of pogs. 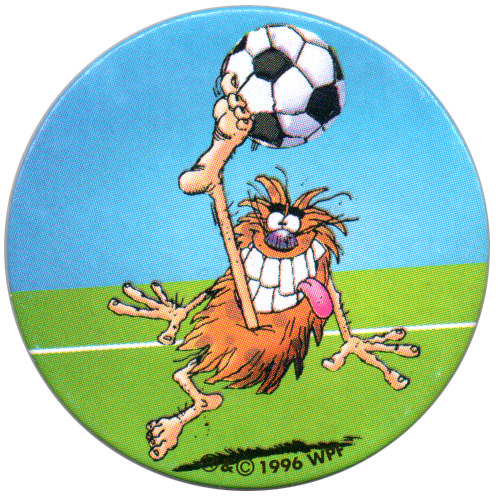 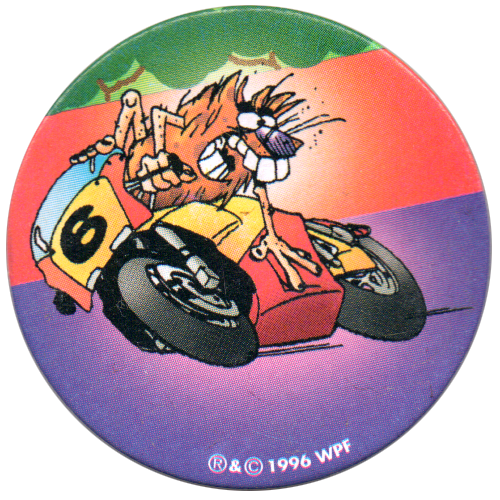 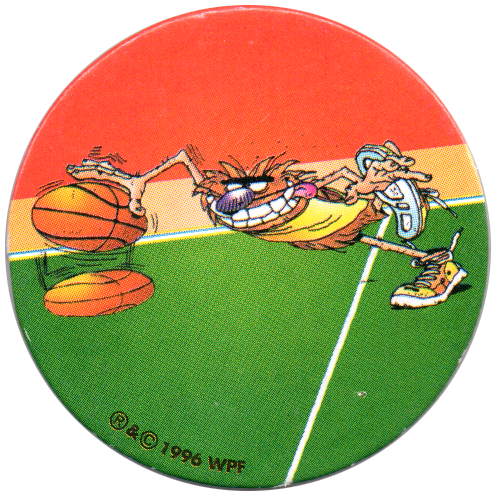 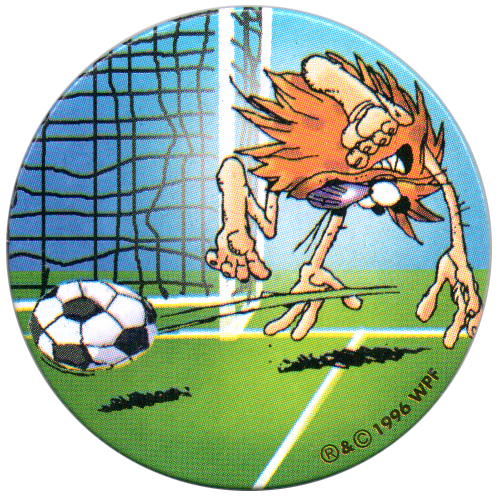 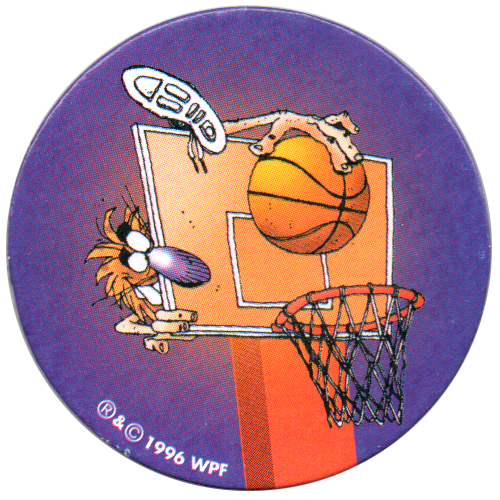 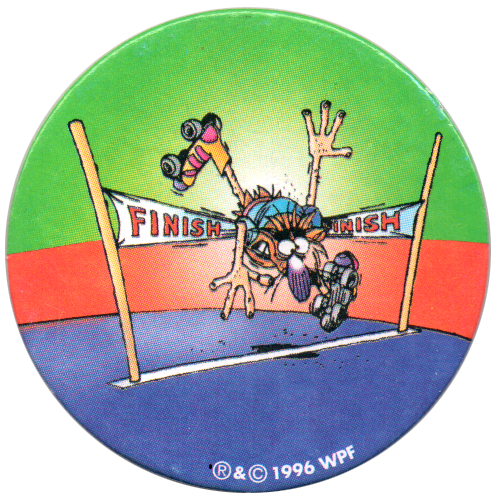 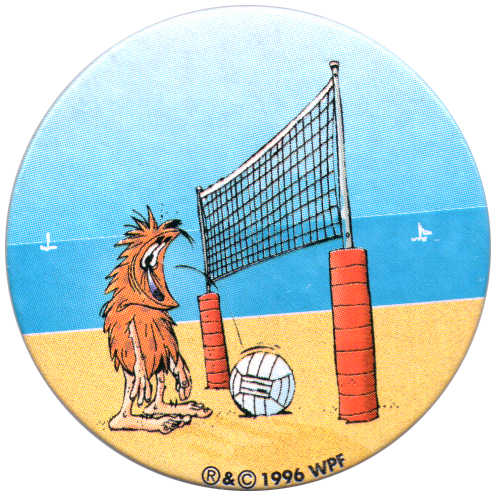 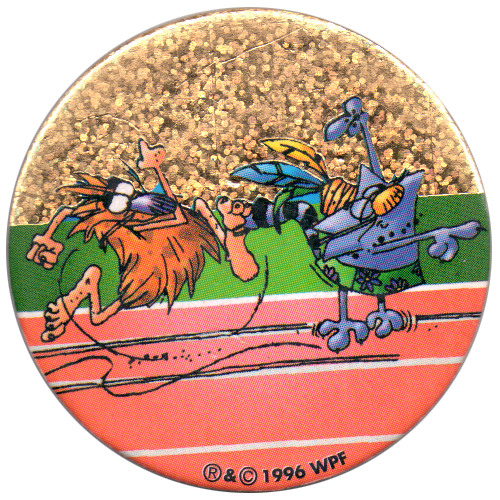 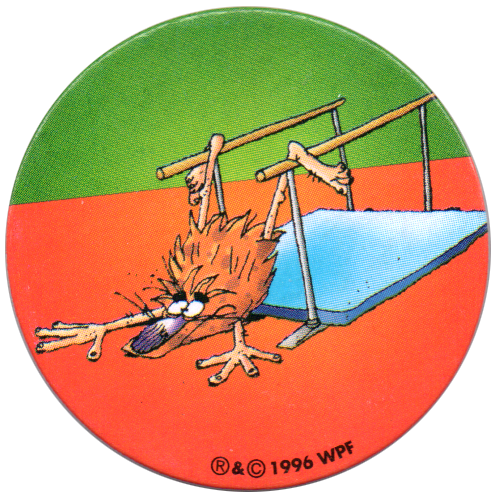 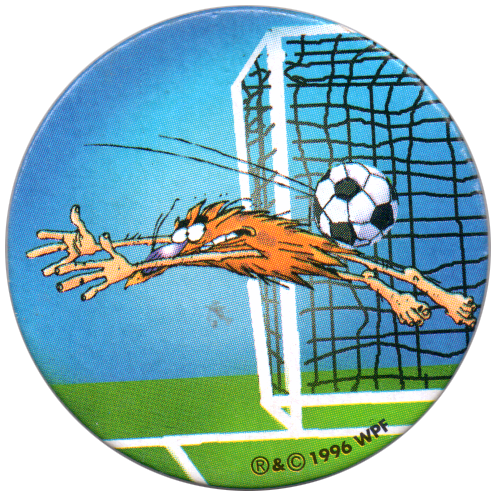 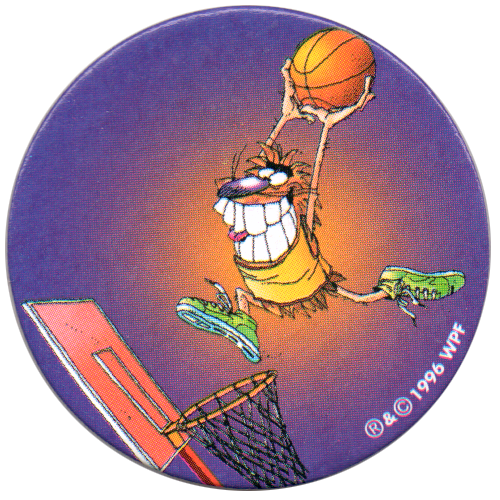 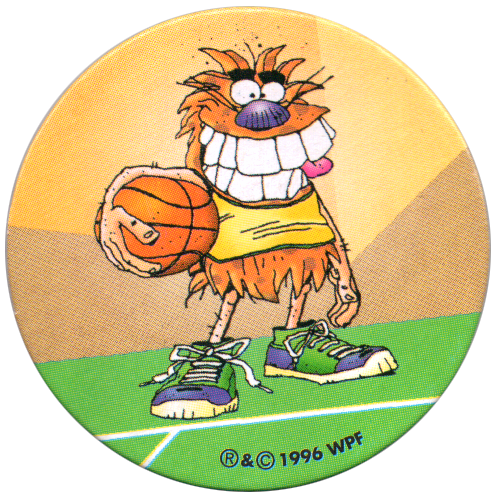 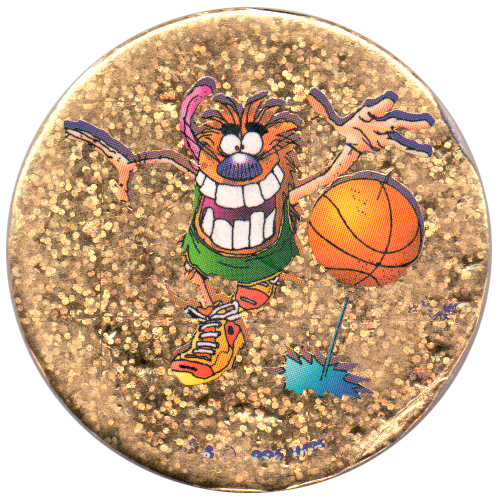 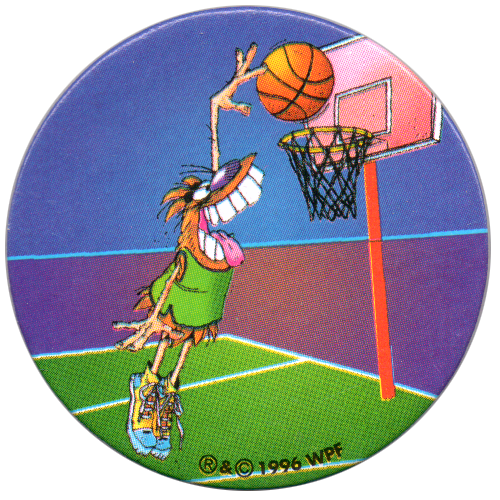 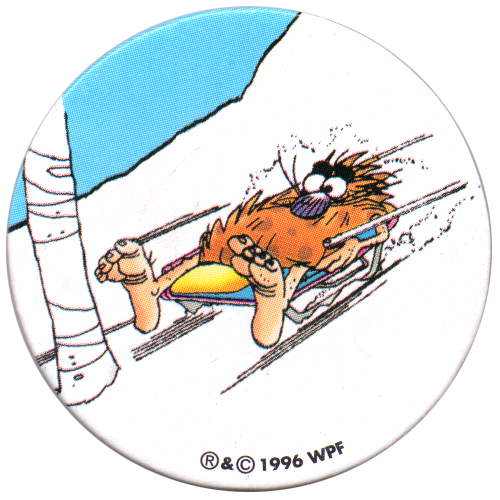 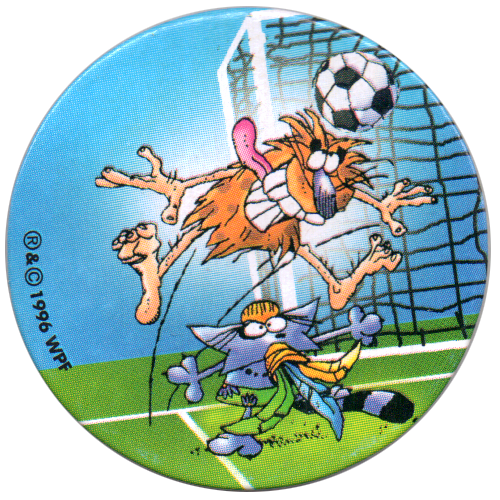 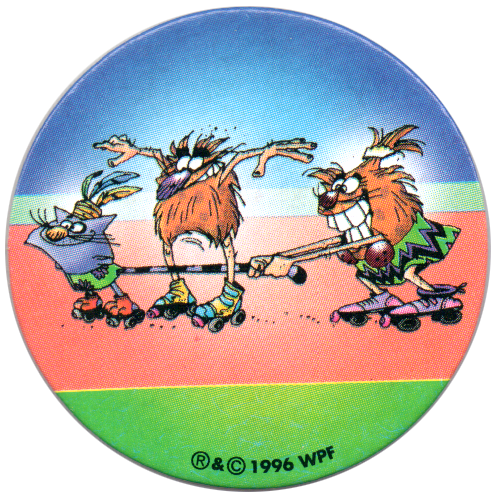 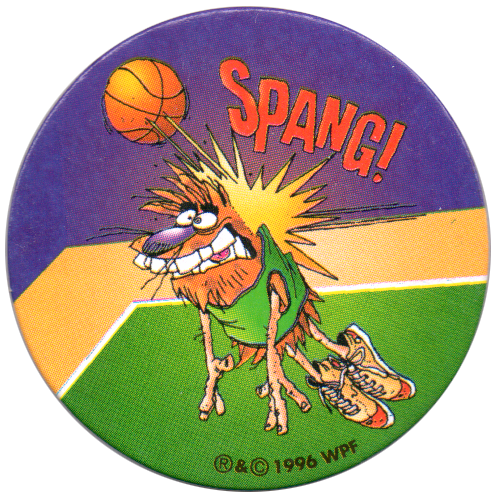 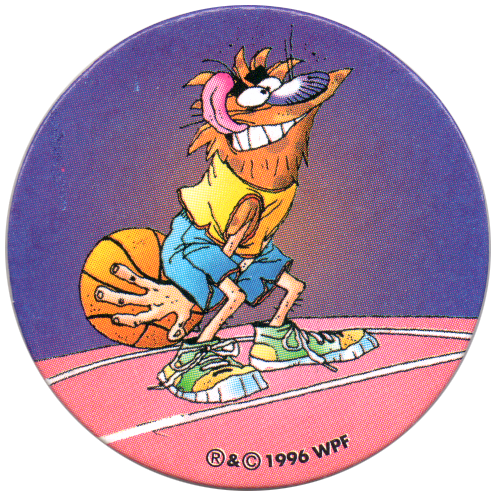 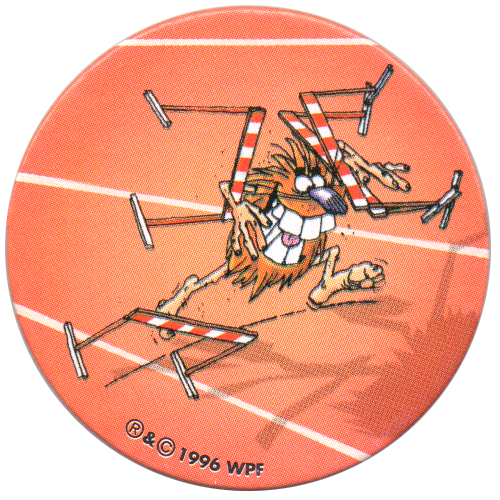 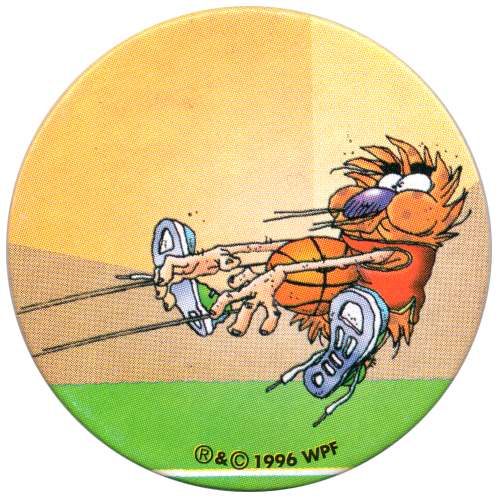 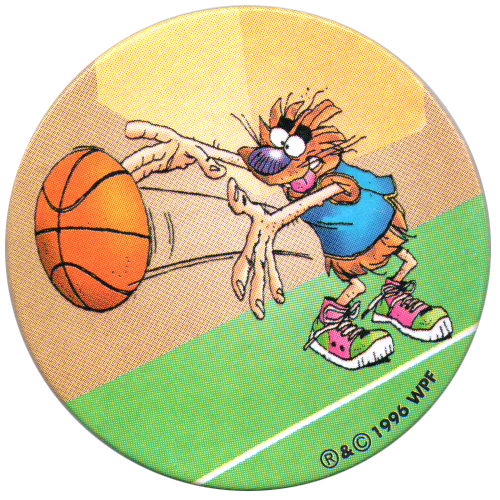 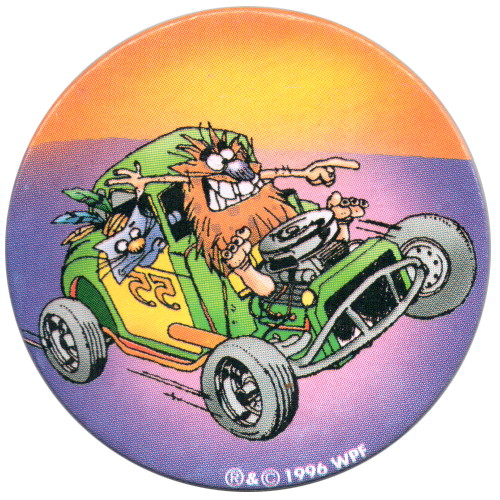 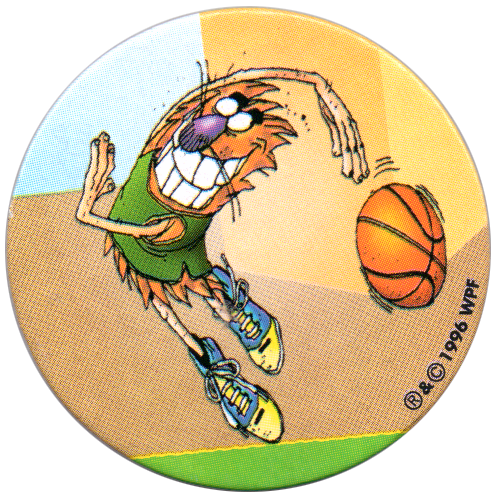 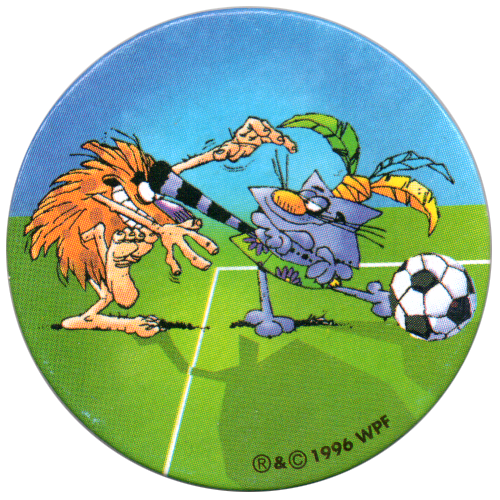 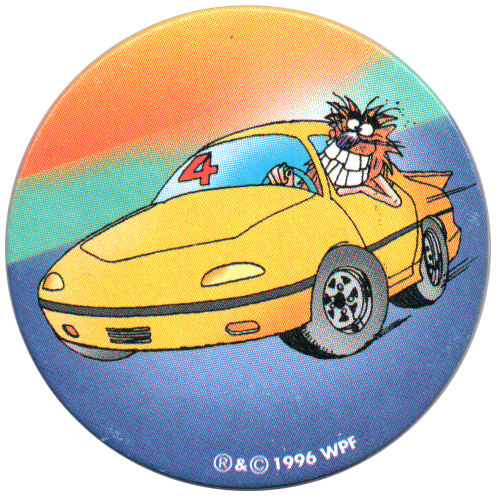 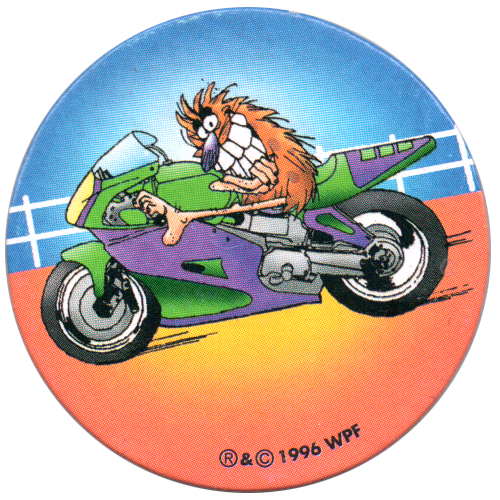 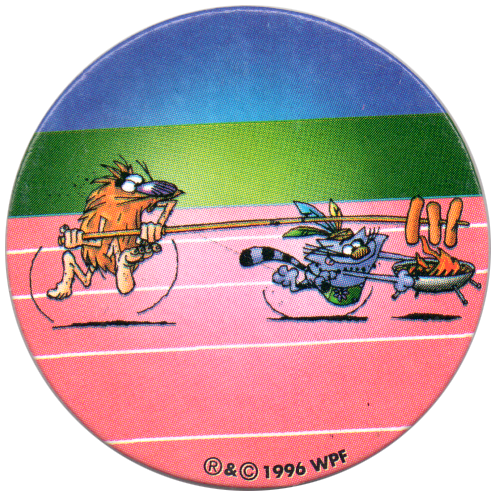 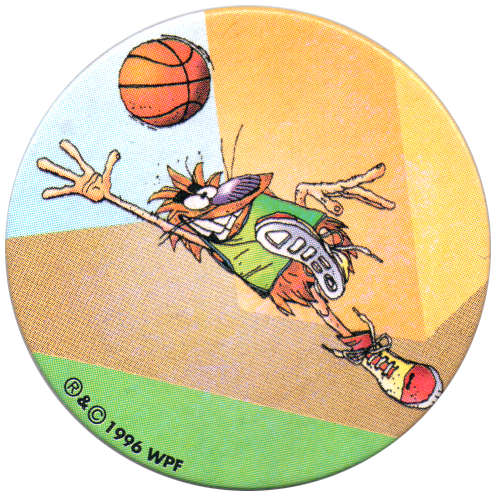 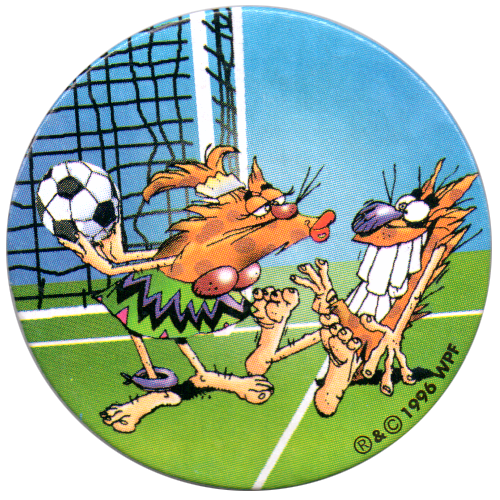 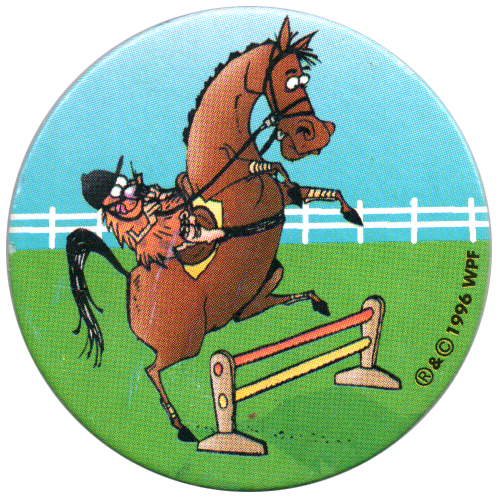 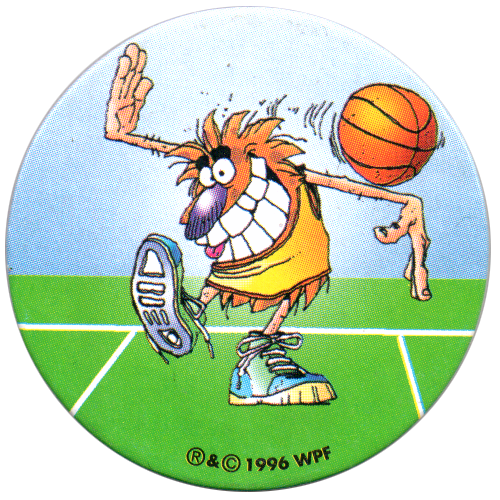 The pogs all have a sport related theme, with pogman racing, playing basketball, and football, amongst other sports. 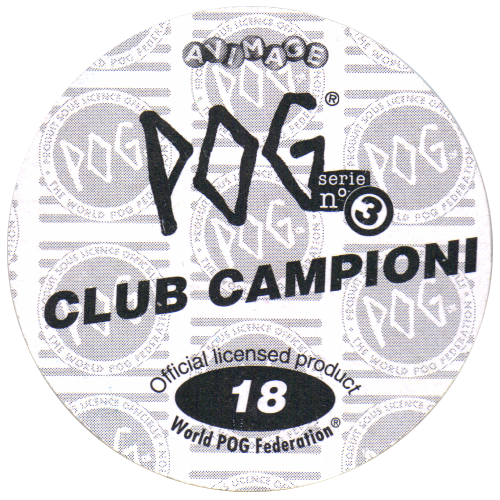 The set's title can be translated to English as 'Club Champion'. 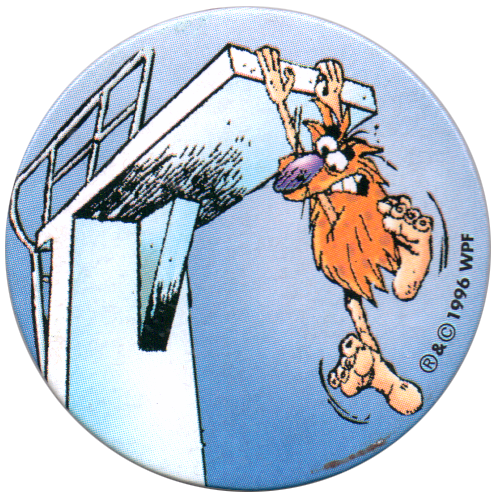 Thanks to Sergey Ivanchenko for the images below.